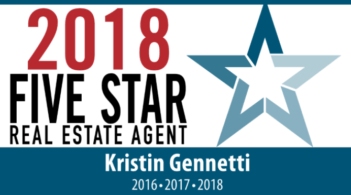 I highly recommend Kristin Gennetti for your real estate needs. We are so glad we chose her . She guided us through all the unseen obstacles with confidence and a smile .She handle all the stressful situations like a true professional and put us at ease .Best of all we got more money then the asking price by taking her advice . Kristin has outstanding skills , is very knowledgeable in all aspects of the real estate business ,a caring person and can handle any situation .